Carol has 20 years of experience in business and IT consulting services in developed and developing countries, including planning and implementation of mobile banking, agent banking and other digital channels. She previously worked at Triple Jump, a Dutch responsible investment manager, working with microfinance banks in developing countries, where she served as the Managing Director of Advisory Services. In this role, she was responsible for strategic and operational planning, partnership development and implementation of technical assistance for new product development, mobile and agent banking and core banking systems. She has worked on a wide variety of digital financial services and collaborated with partners from Visa, Safaricom, Airtel, MTN and a variety of technology platform providers to Central Banks and private companies. Prior to her work at Triple Jump, Carol was the Senior Microfinance Advisor for West Africa at Kiva and prior to Kiva, the Senior Director of Business Consulting Services for EMEA at Broadvision. Carol has considerable experience working with digital solutions and a particular interest in the use of technology to increase operational efficiencies and drive financial inclusion. Carol is a frequent speaker at conferences for the developing market, including Clarion’s MMT (Mobile Money Transfer), GSM Association, AITEC Banking Africa, European Microfinance Platform, guest lectures at Columbia University’s School of International and Public Affairs and teaches the course ‘Increasing Access to Finance through Branchless Banking’ at the Boulder Microfinance Institute. Carol is fluent in English and French, received a Bachelor’s Degree in Economics & Finance from the University of California, Santa Barbara, completed the Executive Management program at UC Berkeley and completed the Fine Art Photography Program at the San Francisco Academy of Art. 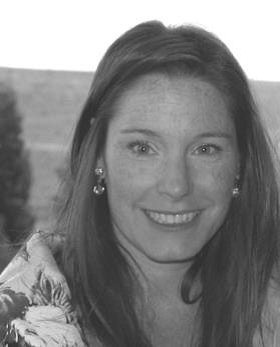 Carol has recently relocated to Boston after living and working in Paris for 16 years.